President Ram Nath Kovind on Thursday offered prayers on the banks of River Ganga during the Kumbh Mela in Prayagra. 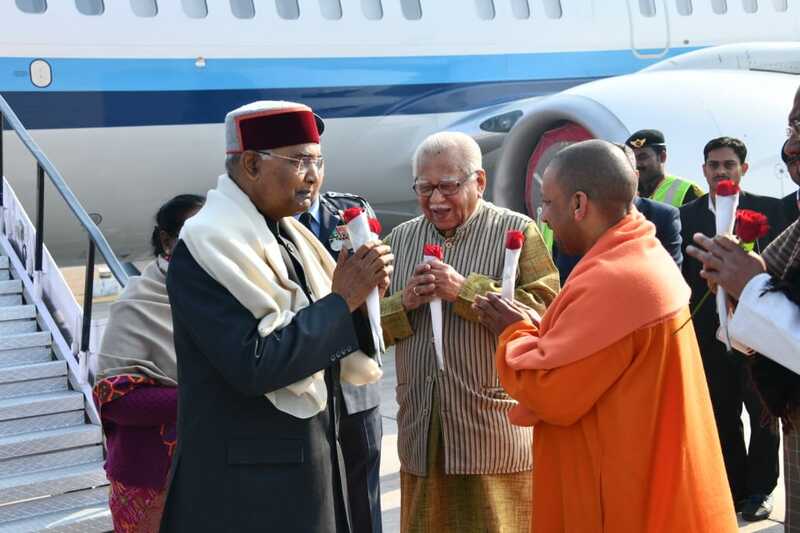 Prayagra: President Ram Nath Kovind on Thursday offered prayers on the banks of River Ganga during the Kumbh Mela in Prayagra. 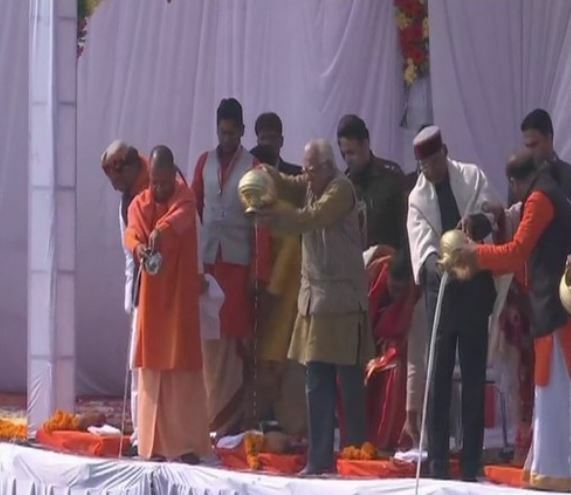 Uttar Pradesh Chief Minister Yogi Adityanath and Governor Ram Naik were present on the occasion. President Kovind also met select saints and seers. During his one-day stay, President Kovind will unveil the statue of Maharishi Bhardwaj and take part in several other programmes. The President will participate in Vishwa Shanti Yagya at Parmarth Niketan in Arail and inaugurate the two-day Gandhian Resurgence Summit on the occasion of Father of the Nation Mahatma Gandhi's 150 birth anniversary. The summit is being organised by the Parmarath Niketan, the Harijan Sevak Sangh and the Global Interfaith WASH Alliance.